A Safe Haven for Newborns Ambassadors spreading the “word”. - A Safe Haven for Newborns | Pregnant Need Help? 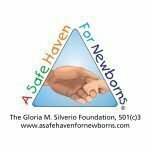 Home » A Safe Haven for Newborns Ambassadors spreading the “word”.